✔ Contact Name:- Owner / Decision Makers. If you need sample, Please let me know. I am ready to do sample. If you need deep research, Let me know. before you place your order. Lead Generation, Data mining, Web Scraping,Web research, LinkedIn expert. 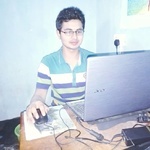 Hello I am Mohammad shazidur .I’m a professional Lead Generator, Web Research, Data Mining, Google Sheet, Email Marketer and Property Analise with 5 years working expertise. I've...Read moreHello I am Mohammad shazidur .I’m a professional Lead Generator, Web Research, Data Mining, Google Sheet, Email Marketer and Property Analise with 5 years working expertise. I've previous experience with in-house Email Marketing, Lead Generation, Web Research, CRM, Data Entry, Salesforce, Zoominfo, LinkedIn, Email Scraping, Email Verifying and eBay Amazon product research,Blog writing etc. Why you should hire me instead of any other freelancer, because I can work quickly, fast and expeditiously, with an eye toward your target audience that you will need from me.I am always seeking new lead generation, Email Marketer and ideas, looking to achieve maximum client satisfaction, guaranteed & quality work are my top priorities and also to create a fresh, eye-catching design and unique look for every new project. I look forward to working with new people all over the world, and expand my experience and knowledge with each day.